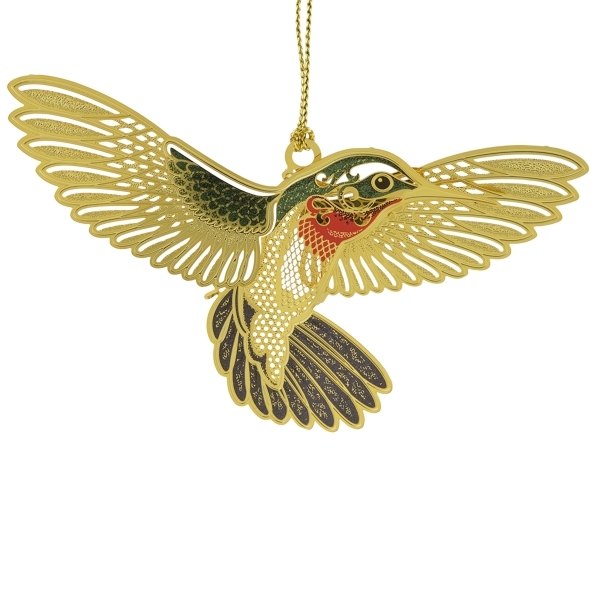 Whether you hang this charming hummingbird ornament on your Christmas tree or in your window, you will be delighted with the exquisite detailing in the brass design and the way the light shines through the wings. The artists hand paint the brilliant colors and then finish it with 24kt gold. It looks like a real hummingbird. It is so special!